Clean air conditioning trunk is necessary to get the best out of your unit, especially during warm summer months. Clean aircon trunk also means there is less dust in the air - dust that can trigger or worsen allergy symptoms and asthma. Most air conditioning trunks are made with aluminum. They are designed to prevent particle buildup but there are problem areas around vents and filters. These parts need to be cleaned on a regular basis, especially when you have pets or if there is a smoker in the family. 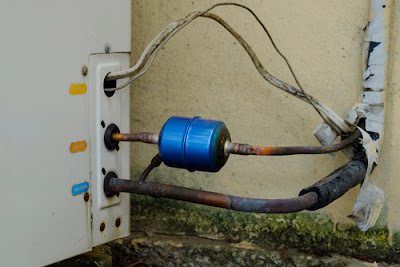 Some of the problems, which are caused by dust and dirt to the aircon trunk, are described in this article along with the safety measures, which could help you in resolving these problems. You can save a large amount of money with the help of the following information. Long Working of the Unit: Nobody would like to pay the extra money because of no reasons, but the excessive dirt in an aircon always results in the increment of the electricity bill as it forces the unit to work much longer than its regular use. As the air flow gets clogged due to the layer of dust particles the unit takes much more time to cool down the temperature which results in the increased electricity bills and increased expenses. Less Cooling Comfort: The conditioned cool air flows through the air filters of the unit, but when the dirt and dust particles block the flow of air through these air filters, the cooling capacity of the unit gets reduced. It is not possible to hold a dust cleaning session daily, but you should keep your aircon trunk clean as much as possible and provide a timely scheduled trunk cleaning session from the aircon repair to keep your unit bug-free. Ice Formation: Another issue, which is caused due to the gathering of excessive debris in an air conditioner trunk unit, is the ice formation on its evaporator coils. When the flow of conditioned air gets slowed down by the thick dusty layer, then the evaporator coils becomes too cold and the air starts to condense and then freezes. This problem can easily be resolved. The only thing you are required to do is first, turn your aircon off and second, switch on the fan of your unit. • Five star mild acid cleaner. • A wet/dry vacuum cleaner. • A Phillips head screwdriver. • Begin your trunk cleaning task by switching off your air conditioning unit. You can shut your unit down via the thermostat control or the breaker box. • Next, using a spray bottle, apply a mild acid cleaner to the air conditioner coil. Use gloves and eye protection when applying the acid. Scrub off the dirt and dust using a small wire brush. Dust and dirt collect at corroded coils and get sent through the trunk system. 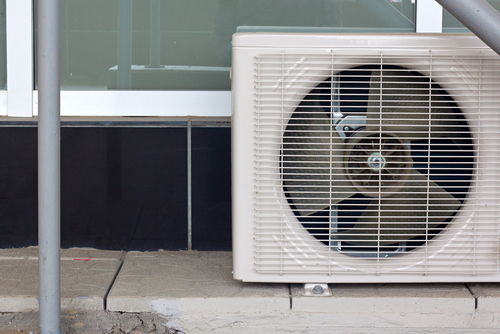 Keeping your air conditioner coils clean helps your unit work properly and keeps the trunk stay clean. Rinse the coil thoroughly with water to take out the acid. • Remove all vent covers in the house using a screwdriver. Soak them in warm bleach for a few minutes to loosen dirt and dust that got stuck on them. • Buildups like dirt, hair and dust tend to collect close to the vent openings over time as air blows through the trunk. From the vent openings, reach as far into the trunk as possible with the help of a wet/dry vacuum hose. The flexible vacuum hose lets you get most of the buildup in the trunk. • Wet a sponge with warm, soapy water and scour all surfaces that you can reach through the vent opening to remove any remaining dust, pet hair or dander. Floor-vent areas can get really dirty so you might want to consider letting them soak in the soap for a few minutes. Do not forget to scrub the vent covers as well and let them soak for a few minutes. • Add a table spoon of liquid antibacterial soap to the already soaking vent covers and scrub using a sponge. Rinse thoroughly and dry. Reattach each cover to their respective vents. • Replace your old air conditioner filter with a new one. It is a very cost efficient way to help keep you air conditioning trunk clean all year long. Replace the filter cover and switch you air conditioning unit back on. Causing several errors because of the dust particles present in the air is a common thing for the owners of the aircon. But remember that this small issue can cause many problems in your unit. 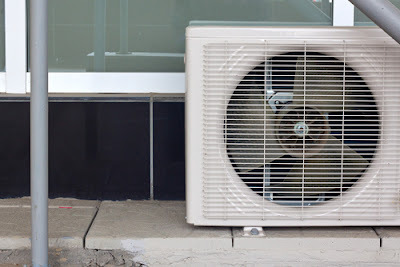 It is not possible to keep an air conditioner dirt-less for always as it used the atmospheric air to cool down the temperature and during this cooling process, dust particles, present in the air, enter into the unit and start forming a thick layer. This is a small issue which is required to be resolved soon with the help of an aircon trunk expert near you.. 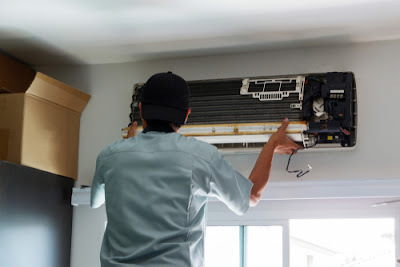 If the general condition and air odor do not improve, it is a suggestion that you should call an AC cleaning company to get your aircon trunk thoroughly cleaned. Apart from getting rid of the unwanted mold growth in the aircon trunk, an aircon trunk cleaning regimen will also help you terminate any type of insect growth, dust and debris and any other type of infestation. In several cases where inmates smoke tobacco or have pets, air trunk cleaning also helps in purifying the air quality. Since it is natural for pets to shed hair, this shed hair is drawn to the AC system that not only causes breathing trouble but by accumulating in the fins of the coils hampers the efficiency of the system. A clean aircon system will run more efficiently as it will naturally produce more pressure at a lesser time to cool your home. This will mean more savings on electricity bills. Moreover, a clean blower will run cooler with a lesser risk of breakdown, again adding to energy savings.